20% Off Orders of $14.00 or More! Hey folks! 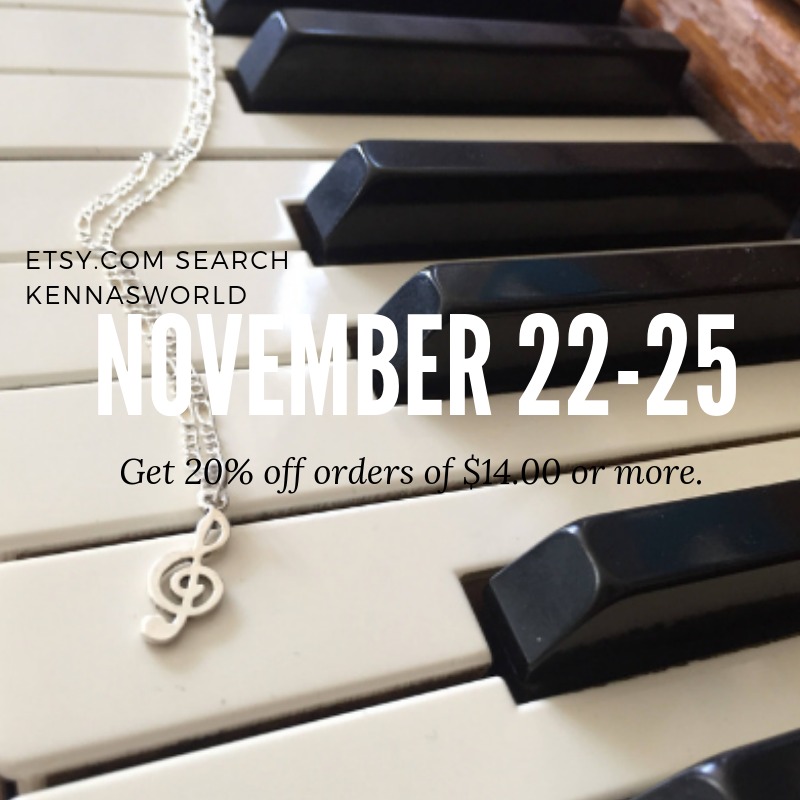 Visit my Etsy shop anytime from November 22-25 for 20% of orders of $14.00 or more. Click here to access my shop.